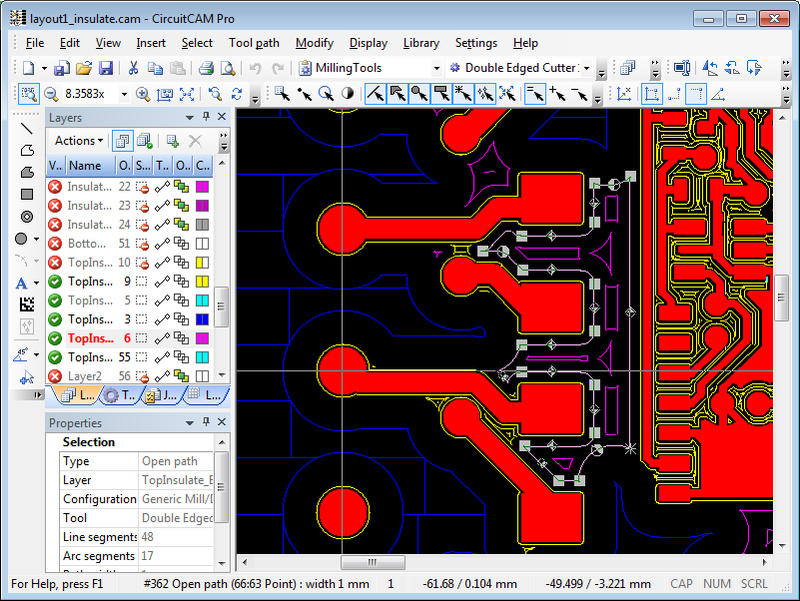 CircuitCAM in its new version 7.0 is now available for everyone. It provides a totally new, universal and customizable way of NC toolpath generation and it is no longer bound to customers of a particular German machine manufacturer. You can buy CircuitCAM directly from the developers or otherwise ask your particular machine vendor. We offer customized versions to support the specific needs of your application, machine and material. With over 10 000 paid licenses all over the world CircuitCAM is in the top league of CAM systems for printed circuit boards (PCB). Its unique capabilities for milling, insulation milling, drilling and different kinds of Laser-structuring, -cutting and -drilling are completely restructured and enhanced in the new version.